What can we learn by looking for the first code of professional ethics? The first code of professional ethics must: (1)be a code of ethics; (2) apply to members of a profession; (3) apply to allmembers of that profession; and (4) apply only to members of that profession. The value of these criteria depends on how we define “code”, “ethics”, and “profession”, terms the literature on professions has defined in many ways. 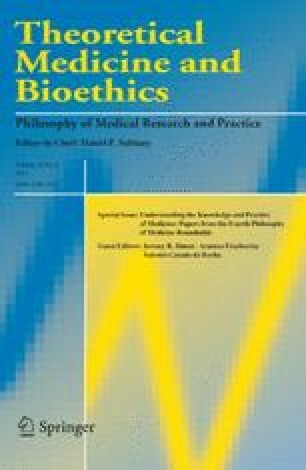 This paper applies one set of definitions of “code”, “ethics”, and “profession” to a part of what we now know of the history of professions, there by illustrating how the choice of definition can alter substantially both our answer to the question of which came first and (more importantly) our understanding of professional codes (and the professions that adopt them). Because most who write on codes of professional ethics seem to take for granted that physicians produced the first professional code, whether the Hippocratic Oath, Percival’s Medical Ethics, the 1847 Code of Ethicsof the American Medical Association (AMA), or some other document, I focus my discussion on these codes. 1.Center for the Study of Ethics in the ProfessionsIllinois Institute of TechnologyChicagoU.S.A.